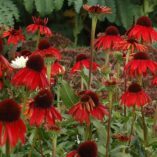 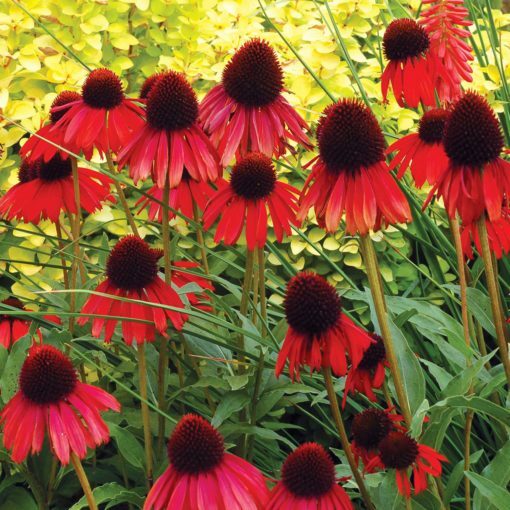 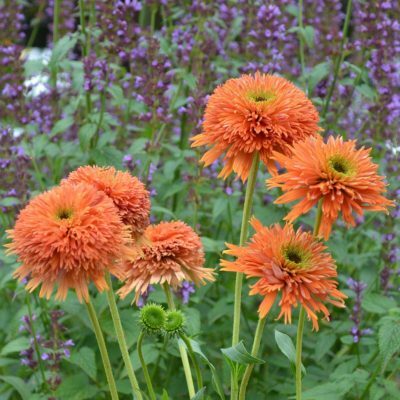 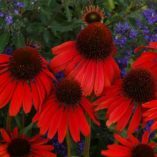 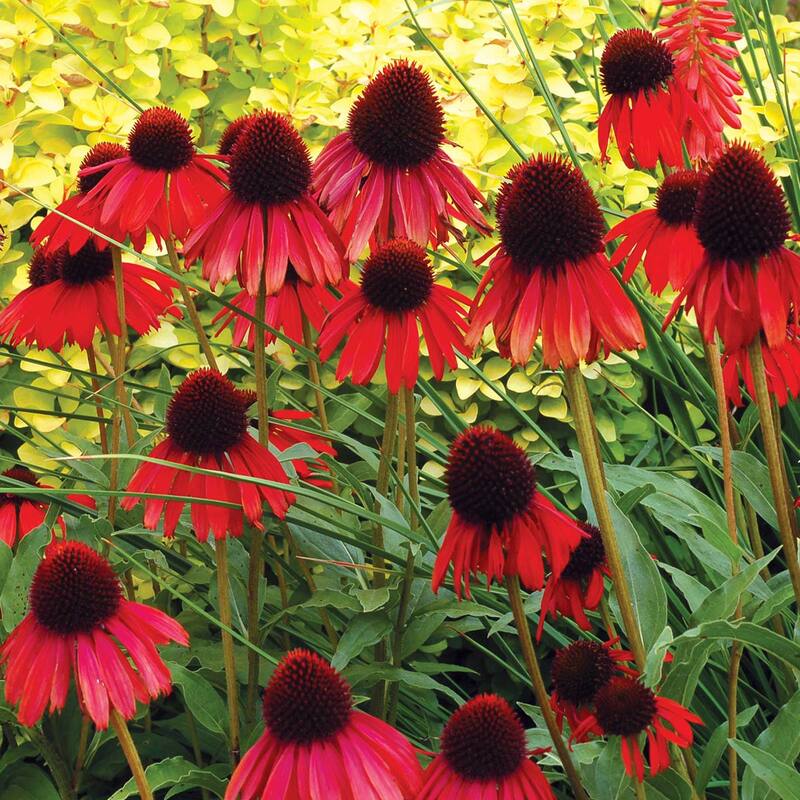 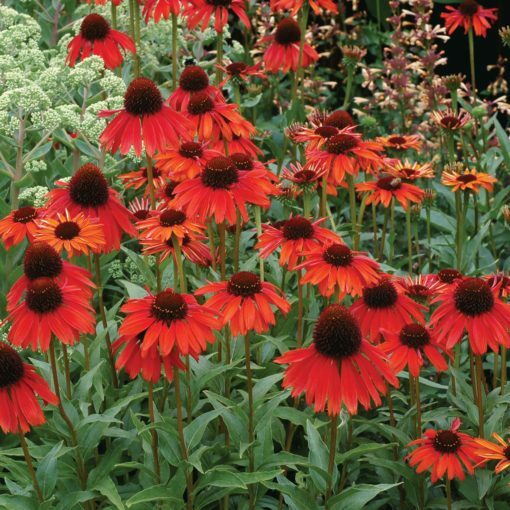 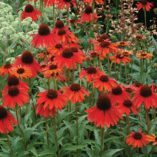 Echinacea ‘Firebird’ | TERRA NOVA® Nurseries, Inc. 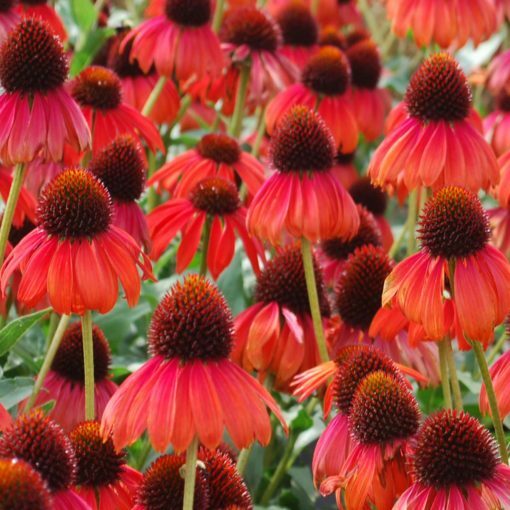 Sometimes it comes all together in an Echinacea – wonderful habit, compact size, and charming, red shuttlecock-shaped flowers that look like they want to fly away! Dark cones add to the appeal of this wonder. 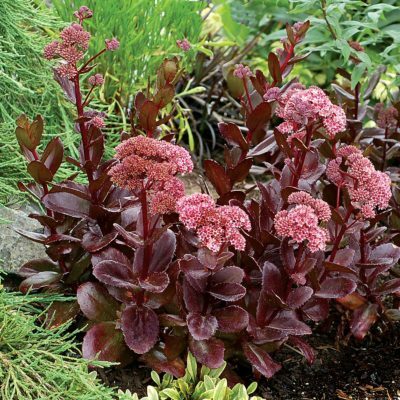 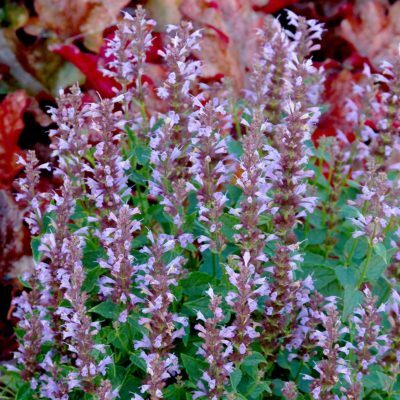 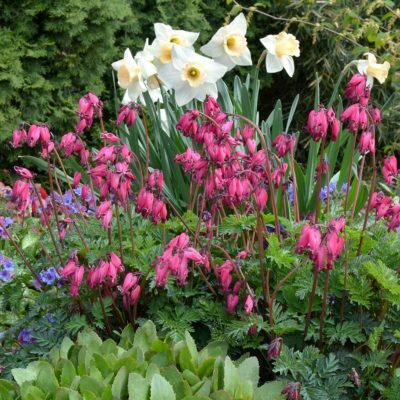 Attracts butterflies in summer and seed hunting birds in the fall. 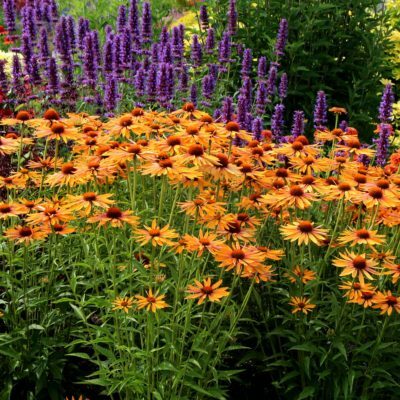 Mix with Rudbeckia for a great combo. 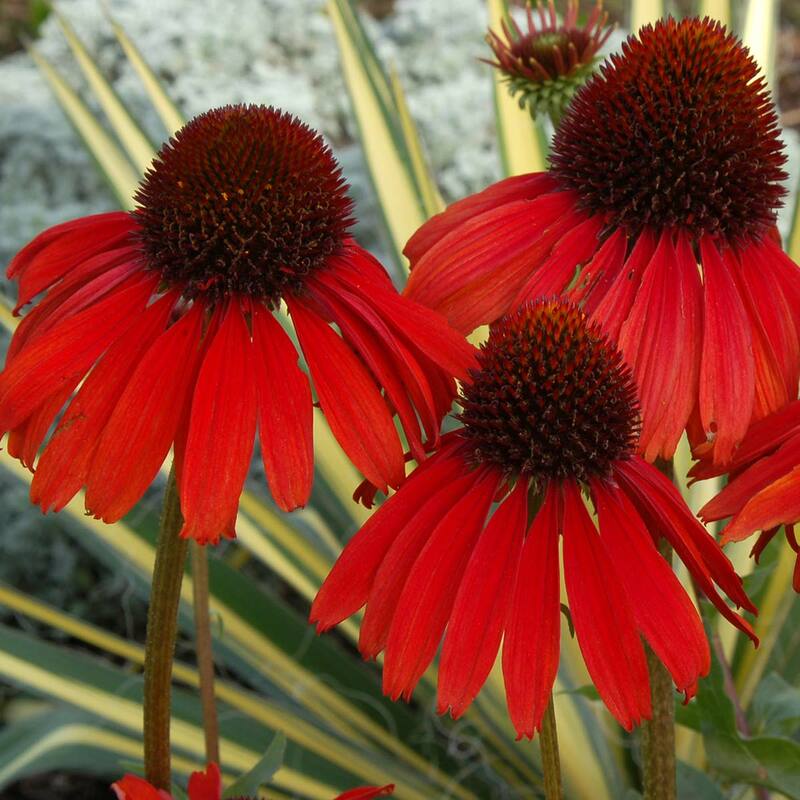 18" / 22" / 25"
It has great red, shuttlecock-shape flowers, excellent upright, well-branched habit, large dark cones.